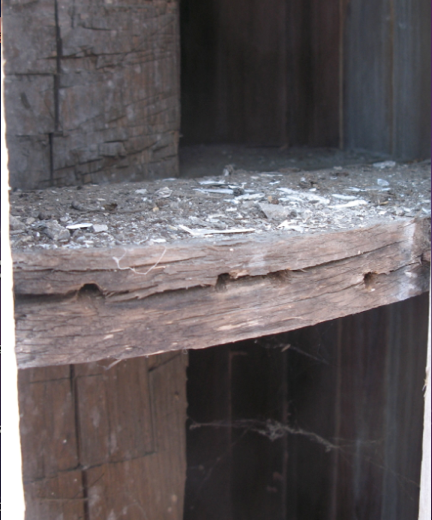 Our beloved Sanctuary was dedicated in 1834, The staved Tuscan columns (similar to the construction of a wooden barrel) have weathered the last 184 years (including the 1938 hurricane), but they have suffered some deterioration and undergone several phases of repair over the years. 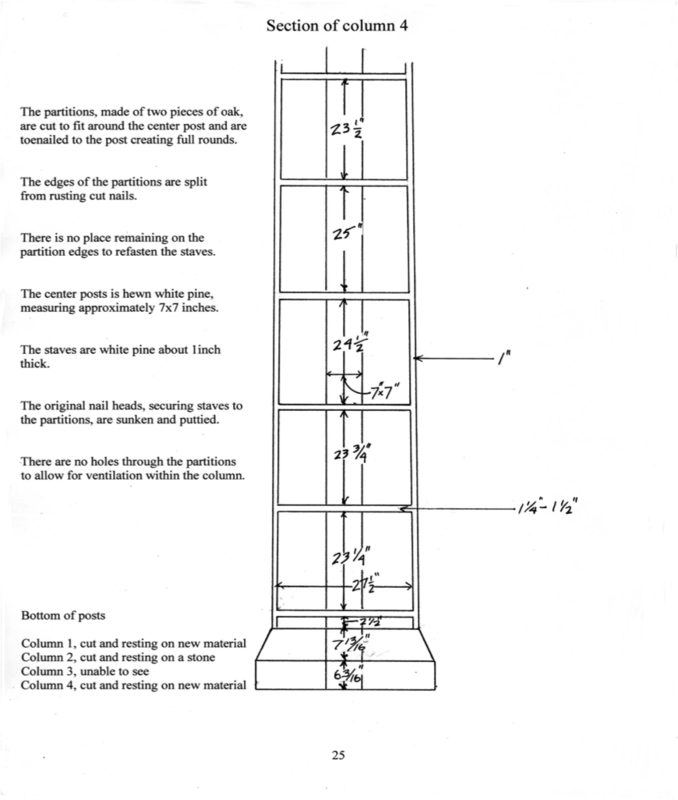 The time has come for the columns to be repaired and restored to their original form to ensure that the surviving original materials will endure the next 184 years. 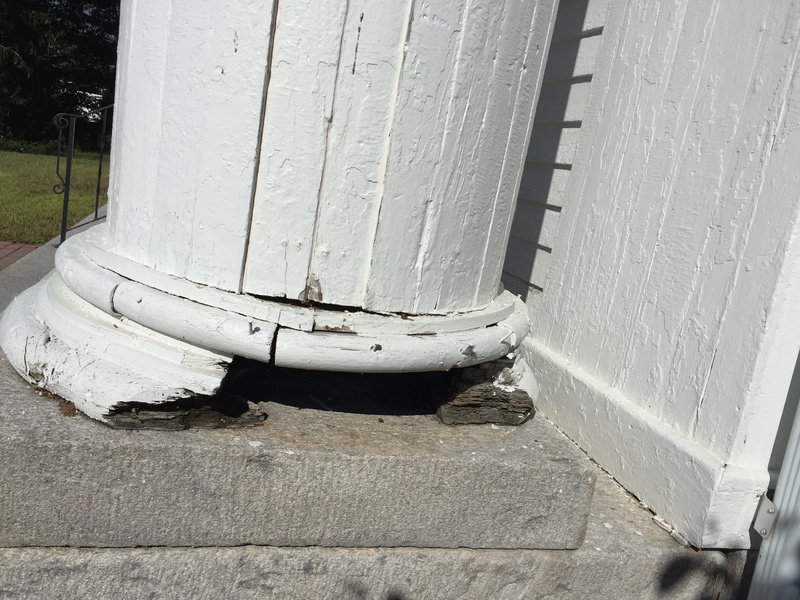 The Column Restoration Committee has been collaborating with the CT Trust for Historic Preservation and the CT State Historic Preservation Office, first receiving a matching grant from the Trust, completed in 2015, to study the condition of the columns and to make recommendations for their repair. 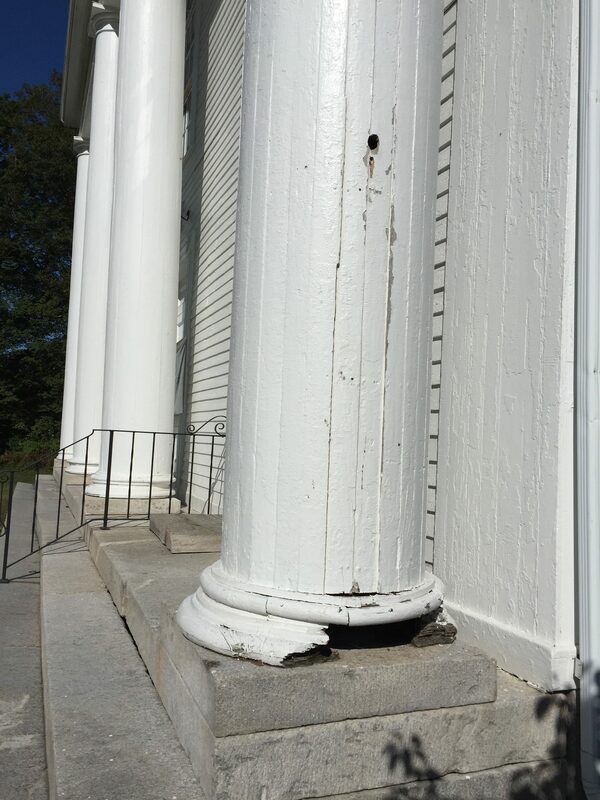 In 2017, the EWCC received a matching grant from the CT Historic Preservation Office Historic Restoration Fund to complete the necessary repairs and restoration of the columns. The project is scheduled to begin in the summer of 2018 and be completed by the fall. The time has come for us to join together and raise the funds to restore our church to its historical and majestic roots. Through generous donations, memorial gifts, our East Woodstock Cornet Band concert and allocation of funds from our Capital Campaign we have approximately $26,000 of the needed match amount. 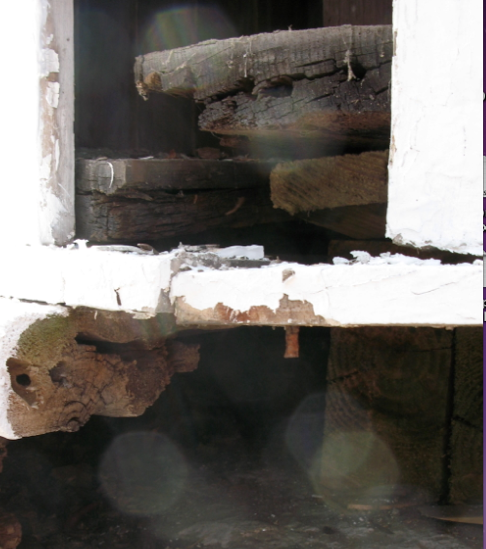 As of today, we need to raise $24,000 to fund the restoration project fully. Please support our church as we complete the fundraising to restore the columns, a significant design element of our Sanctuary facade.